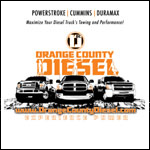 The BD-2033135 Diesel Turbo Mount Exhaust Brake 1988-1998 Dodge 5.9L Cummins is the most widely-recognized exhaust brake in the industry for one simple reason: it's the best! Descending grades with trailers can be hazardous resulting in over heated service and trailer brakes, that leads to brake fade, excessive wear, and costly unwarranted repairs. BD Engine brake has been the industries time proven variable regulating back-pressure exhaust brake. 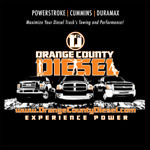 OC DIESEL offers Professional BD Power BD-2033135 Installation.